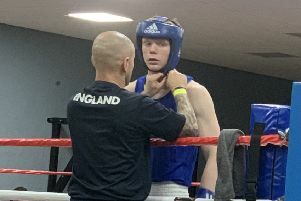 Dunstable SC teenager Harry Constantine has qualified for the British National Championships in London later in the year. The 14-year-old will take to the 50-metre Olympic Pool in April to compete in the 100m backstroke, after recording a time of 1.01.37mins at the 50m pool in Ponds Forge, Sheffield, where he claimed silver in the 15-year-old category. Harry is one of only two 14-year-olds in Britain who have qualified for the 100m backstroke event as the Nationals will attract many of the best of Britain’s swimmers trying to secure places in the GB squad for various European and World swimming meets. Dunstable head coach Tim Hutton said: “Harry has been a great asset to DSC and his hard work and commitment is seeing him achieve at the highest level.